If you are concerned that an Adult is experiencing or at risk of harm, abuse or neglect please report it to your local authority area by returning to the home page and clicking on your areas link by scrolling to the bottom of the page. Loneliness is deadlier than obesity and should be considered a major public health hazard, the biggest ever review into the problem has suggested. Researchers in the US looked at 218 studies into the health effects of social isolation and loneliness involving nearly four million people. They discovered that lonely people had a 50 per cent increased risk of early death, compared to those with good social connections. In contrast, obesity raises the chance of dying before the age of 70 by around 30 per cent. Lead author Dr Julianne Holt-Lunstad, Professor of Psychology at Brigham Young University, Utah, said people should be preparing for retirement socially as well as financially, because for many people the workplace is their biggest source of companionship. “Being connected to others socially is widely considered a fundamental human need—crucial to both well-being and survival,” she said. According to the Campaign To End Loneliness, around 17 per cent of older people see friends, family and neighbours less than once a week, while one in 10 go for a month at a time without seeing any loved ones. Recent ONS stats Britain is the loneliness capital of Europe with its inhabitants less likely overall to know their neighbours or have strong friendships than people anywhere else in the EU, an official study suggests. Last year, the Local Government Association said loneliness should be treated as a ‘major health issue’, while charity Age UK claim the issue ‘blights the lives’ of over a million older people. 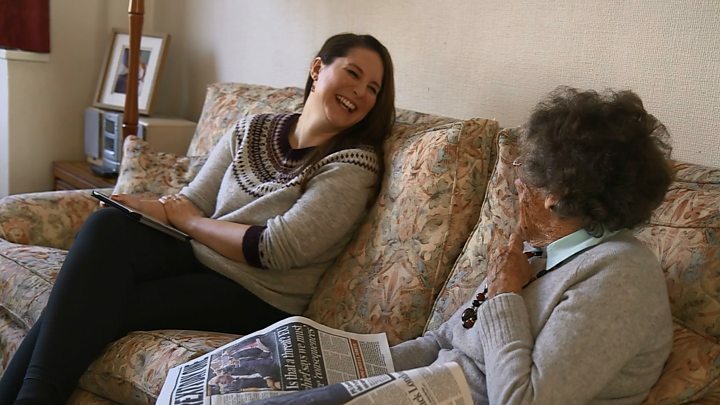 Laura Alcock-Ferguson, Director of the Campaign to End Loneliness, said: “Meaningful social connections are essential for human happiness. At the Campaign, we want to make loneliness everyone’s business and show that we can all play a role in combatting loneliness in their community, whether as an organisation or an individual. Although loneliness is often viewed as a problem for the elderly, a recent study by the Mental Health Foundation found that 18- to 34-year-olds were likely to feel lonely more often than over-55s. “There is robust evidence that social isolation and loneliness significantly increase risk for premature mortality, and the magnitude of the risk exceeds that of many leading health indicators,” added Dr Holt-Lunstad. A recent study by the University of York found that lonely people are around 30 per cent more likely to suffer a stroke or heart disease, two of the leading causes of death in Britain. But the reasons have remained unclear. Some researchers thought it was simply that there were fewer people to notice when a person was ill or encourage them to take care of their health. However last year Harvard University found that having no friends was linked to increased levels of blood-clotting protein which can cause heart attacks and strokes. It is now known that social isolation activates the ‘fight or flight’ stress signal which increases levels of protein fibrinogen in anticipation of injury and blood loss. But too much fibrinogen is bad for health, raising blood pressure and causing the build-up of fatty deposits in the arteries. People with just five people in their social network had 20 per cent higher levels fibrinogen than those with 25. Having 10-12 fewer friends had the same impact on levels as taking up smoking. Tracey Crouch said she was proud to take on the “generational challenge” to tackle an issue affecting about nine million UK people, young and old. In December 2017 NHS England’s chief nursing officer, Prof Jane Cummings, said cold weather and loneliness could be lethal in the winter months. An estimated half of people aged 75 and over live alone – about two million people across England – with many saying they can go days, even weeks, with no social interaction at all. for Children – to find ways to help people cope. In a joint statement, they said they welcomed government acceptance of the need for “a new ministerial lead who will have the responsibility for creating a national strategy”.